Performance Engine Compartment Upgrade Kit. This kit is engineered for your 71 B-Body/70-71 E-Body Dodge/Plymouth with factory A/C and Small Block V8 engine. Engineered specifically for your Performance Engine Compartment Upgrade Kit. This kit is engineered for your 70-71 Dodge/Plymouth E-Body/71 B-Body with factory A/C and Small Block engine. Classic Auto Air's affordable engine compartment upgrade kit will not only help you save on horsepower, give you better fuel economy and performance, allow for a continuous duty rating of 6,000 RPM and save half the weight of the stock compressor, but it'll look cool in the process as well! It's also exactly what you need when converting your air conditioning system from to 134a! 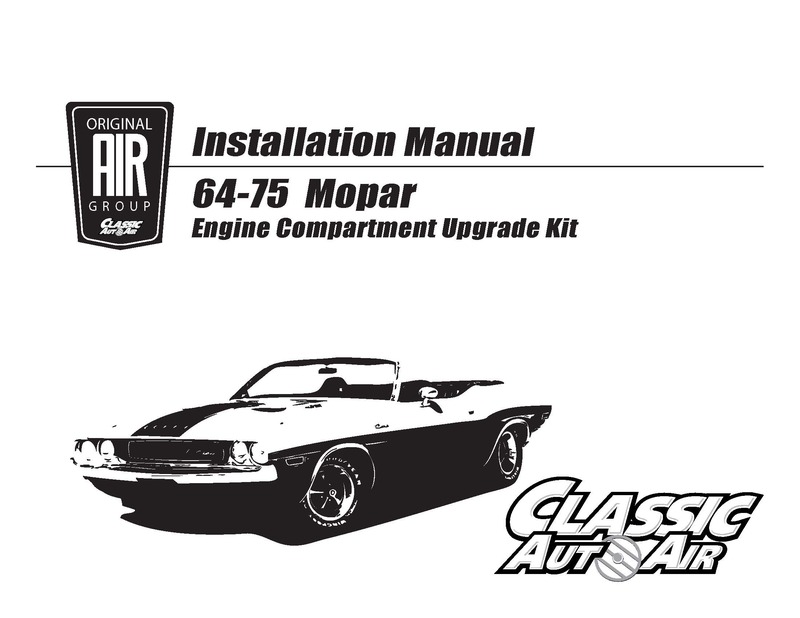 WHAT DOES AN ENGINE COMPARTMENT UPGRADE KIT INCLUDE? Direct Replacement parallel-flow high-performance condenser.